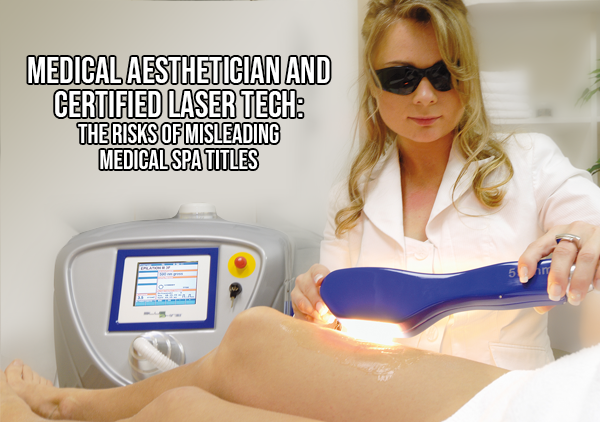 “Medical aesthetician” and “certified laser technician” are common titles to see in medical spas, but these are among job titles that come with certain risks in medical practices. They are examples of a handful of titles for professionals in the medical aesthetic industry have become prominent over the years even though they are inherently misleading. Despite the fact that they are used constantly in and around the industry, they should be phased out since legal compliance is more important than ever due to increased appetite for enforcement by regulators. The most prominent example of this problem involves so-called “medical aestheticians.” People who refer to themselves as medical aestheticians typically have some sort of training in a medical spa setting and want to separate themselves from other aestheticians who do not. They’ve usually completed a course or two in microneedling or laser use, and they wish to distinguish themselves by calling themselves medical aestheticians. This is very common—if you search for “medical spas” on the Internet, you will undoubtedly run across the term. However, it is very dangerous for an aesthetician to use this title, because he or she risks disciplinary action by his or her board. 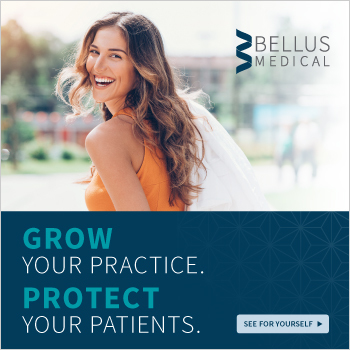 Medical spas and other, more traditional medical practices are subject to very strict advertising rules and regulations, and practices need to zealously guard against any kind of misrepresentation or exaggeration relative to their services. Everything has to be very clear and on the up-and-up. The problem with the term “medical aesthetician” is that the person or practice using it can be seen to be suggesting that the person in question can perform medical treatments. Of course, according to their practice acts, aestheticians are explicitly prohibited from performing any sort of medical treatments, and even suggesting that they can is a significant misrepresentation of their abilities. Several state medical and cosmetology boards—including California, Colorado, and Illinois—have explicitly stated that people cannot use the term “medical aesthetician,” and that if they do, they are subject to discipline. I see so many people use this term that it makes me think they simply don’t know any better and are getting bad advice from schools or co-workers. 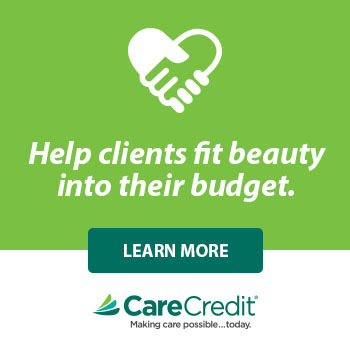 A few states offer “master aesthetician” licenses, and these allow aestheticians to perform more complex treatments than an aesthetician normally would. However, even in this case, using the term “medical aesthetician” is a bad idea. It is not uncommon for people to take courses at laser training centers and, upon graduation, the school will tell them that they are “certified laser technicians.” The graduates will typically take that certificate back to their medical spa, hang it on their wall, and claim that they are certified to perform laser services in their states. However, this is not the case—they are certified by the private company that provided the training, not the state—and this is a significant distinction. There are very few states that recognize any kind of certification for any type of laser treatment, and there’s a major difference between a state-sanctioned certification and a private company’s certification. People can run into real danger if they claim that they are certified by virtue of the fact that they have taken a course from a private company. Only a state can truly certify a laser technician. And again, if a person or their medical spa advertises that he or she is certified when that is not the case, they could be seen to be misrepresenting themselves. For more information on medical spa legal best-practices attend one of AmSpa’s Medical Spa & Aesthetic Boot Camps. What is the specific rule in Illinois?